These Turkey Petals are made from quality Turkey/Nagorie feathers, hand glued onto a felt backing. 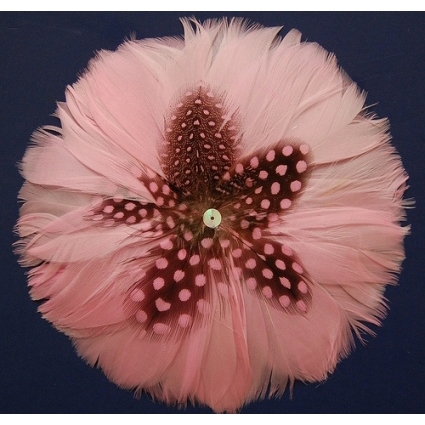 These quality feather petals are used all the time by the millenary industry. They are also suitable for trimmings and appliqués on just about anything from lamp shades to placemats. They are packaged one color or type per bag. They come 12 (one dozen) per package. No less, no more and no mixing colors. They each are approximately 5 inches in diameter.